Declutter crafting spaces around your home and let your creativity flow with the Craft Supplies Organizer Totes from mDesign. 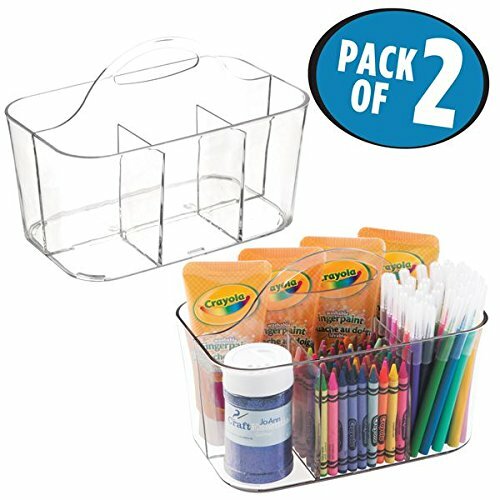 One large compartment and three smaller sections store paint, crayons, markers, glitter and more in one convenient place. The clear, plastic construction lets you easily see what's inside, while the open top makes it simple to grab what you need to make your ideas come to life.